Hot on the heels of Telus offering the 8GB iPhone 4 for $0 on a three year contract, now it appears Rogers has matched that promo. If you navigate to the Rogers website, the 8GB iPhone 4 in black or white now shows it’s free after subsidy, but you’ll need to sign on long term. This ‘limited time offer’ goes until June 30th, 2012. For someone who is getting their first iPhone and doesn’t want to pay and is willing to sign on long term, this is a good ‘deal’. The question remains: when do you think Bell will match this offer? Let us know if you’re going to jump on this. 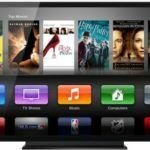 Apple Television Set To Launch This Holiday Season?